In the morning on June 28th, Trade Union of Education and Training Sector of Cần Thơ city open meeting with typical families and organize a contest on “nutritional knowledge in school” in 2016. 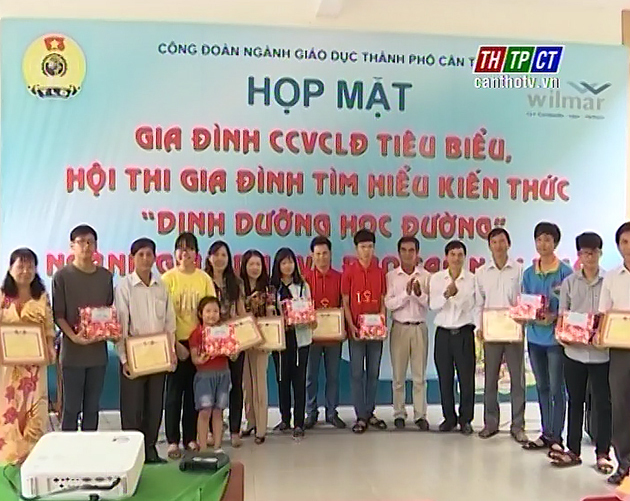 At the meeting, the organizing board offered certificate of merit of Cần Thơ city Education and Training sector Trade Union to 16 typical families for best achievements in office, school, bringing up children well. Regarding the contest “nutritional knowledge in school” the organizers give 38 awards to all teams take part in. At the meeting, all families have condition to exchange, get experiences to one another on methods bringing up and educating children, building happy family in order to raise their awareness in solidly protecting their family, children before social evils and school violence.